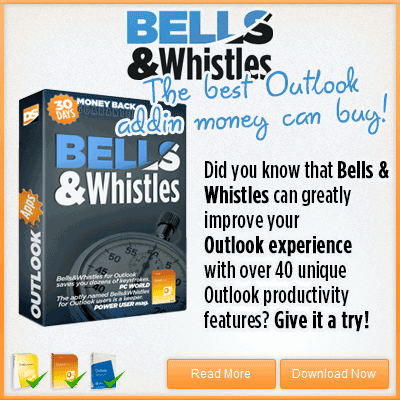 What Outlook 2013 version do you actually use? – Office 2013 installed from a disk / by running the MSI installer (which can also be obtained from your Microsoft account, by clicking on the “Install from a disk”). 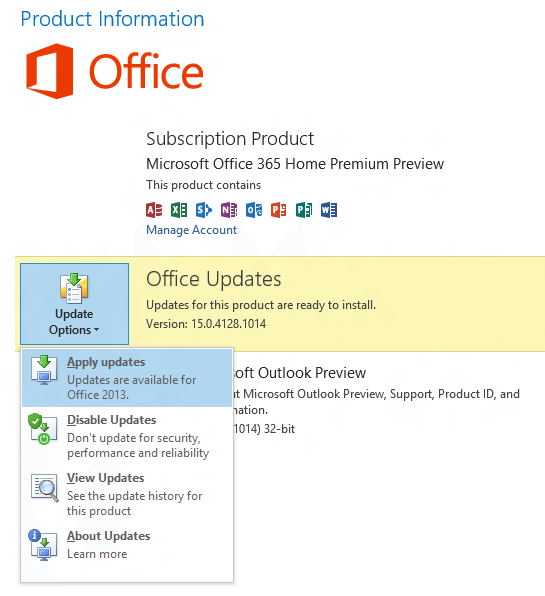 To identify which one of them you are using, simply open Outlook 2013, go to File -> Office Account and look under the Product Information area: if there is an “Update Options” button, then you have the “Click to run” Office 2013 version. As you can see from the above screenshots, the Update options are simply NOT available in the disk / MSI installation! There is no mistake from Microsoft, in fact it’s exactly how they wanted it to be. 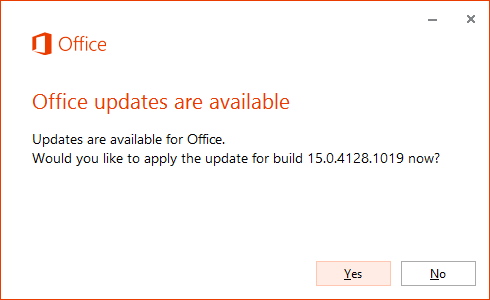 As a result, when you are looking to update Office 2013, you must be aware of its installation method so you can choose the proper update way. 1. Change your Windows Update settings to include updates for Other Microsoft products: simply open your Windows Control Panel, then go to System and Security -> Windows Update -> Change Settings -> mark the option “Give me updates for other Microsoft products when I update Windows”. However, please note that this update method will only give you Outlook updates and it will NOT include Microsoft Outlook hotfixes! 2. 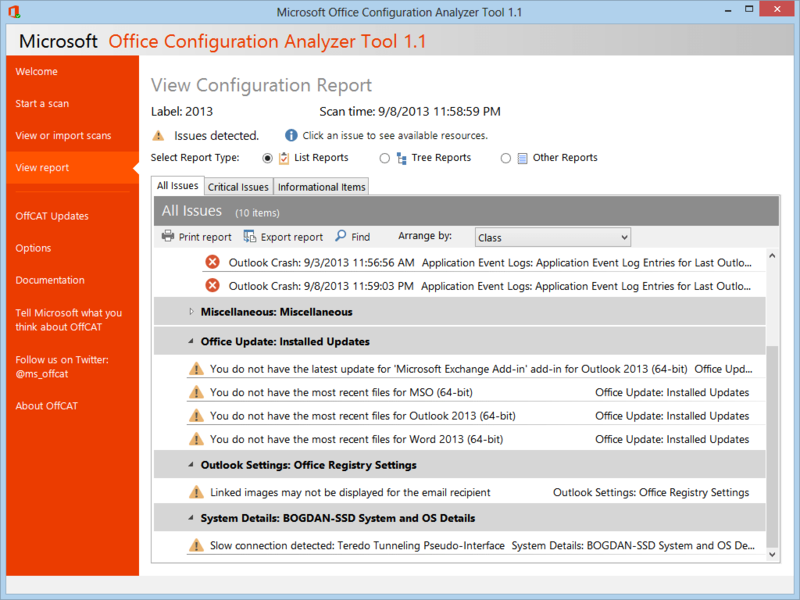 The best way to properly update Outlook 2013 is by using the free Microsoft Office Configuration Analyzer Tool (OffCAT). This tool is provided by Microsoft and it was introduced for Office 2013. You can download it from this Microsoft page (here is the direct download link to the setup file: http://go.microsoft.com/fwlink/?LinkID=286211). 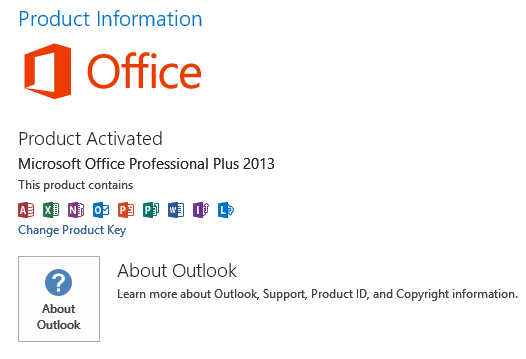 Once you scanned your Outlook 2013 installation, simply click on each report section to see its details & solutions. To update Outlook 2013, simply navigate to All Issues -> Office Update: Installed Updates -> Expand “You do not have the most recent files for Outlook 2013”, then click on the “see possible solutions to this issue” link: it will open a new browser window with ALL your missing Outlook updates and their download links. The same update methods apply for all Office 2013 products (Word, Excel, etc).